Worried About Your Partner’s Health? Here’s What To Do. If so, you’re in good company because recent research from Bupa Health Clinics has found that millions of Brits are concerned about their partner’s lack of fitness, particularly their stress levels and lack of exercise. The study polled 2,000 adults in relationships and found nearly three quarters worry about the physical state of their other half. Every year many of us make new health pledges for our partners – the most common pledges are getting them to eat healthier, lose weight and take up exercise. Swapping food for low-fat options, hiding treats and reducing sugar in hot drinks were popular tricks used to try to improved their loved one’s health. One in seven of us will even go to bed earlier in the hope of improving our partner’s sleeping habits. And over one quarter said their significant other is simply “too busy to book their own. What are the health concerns that worry us most where our other halves are concerned? 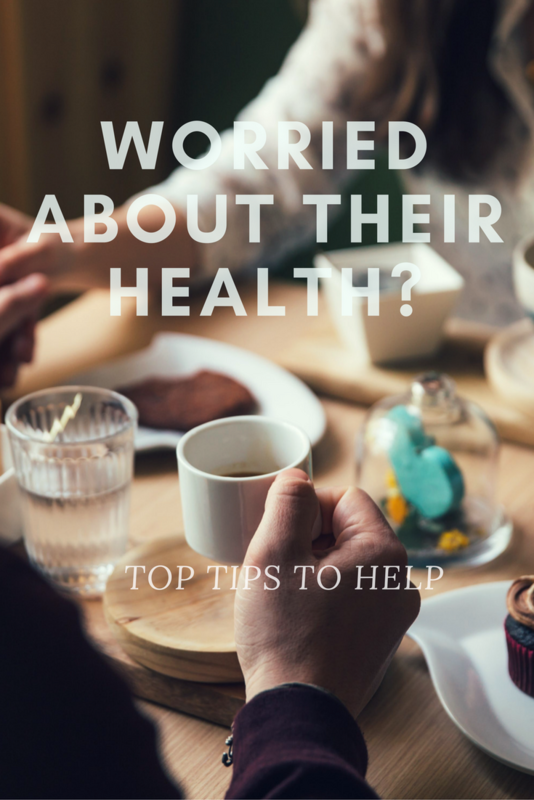 All pretty usual health concerns, I’m sure you’ll agree but what can you do if your other half is getting less and less fit or, more worryingly, showing signs of illness? These are my top 5 tips. This requires a lot of tact because if you handle it wrong it could look like emotional blackmail. For example, there’s a difference between telling someone you want them to be healthier and fitter so that they can join in with family activities and saying “please get fit before you leave your children fatherless”. As with most problems, honest communication and listening is usually the best way forward. When you think about it, it’s often easy to see where a problem started and from there to identify the cause. Lack of exercise could be due to a Netflix habit or it could be due to an arthritic knee. There’s a huge difference between the two. Lack of sleep could be due to too much caffeine, rich food and an uncomfortable bed or it could be due to a mental health problem such as depression and anxiety. Weight gain could be due to too much fatty food or it could be due to a hormonal imbalance, the menopause, a thyroid problem or comfort eating due to stress. Going in ‘all guns blazing’ with “you need to get fitter” isn’t going to help unless you understand how your partner has ended up where they have. Suggesting that you both get fitter is more likely to get a positive response. Rather than take on a gruelling exercise regime that you hate, why not try something fun like ballroom dancing or salsa? The same applies to diet – cutting down and then out is likely to be more effective in some cases than going cold turkey. For example, limit takeaways to one or two a month, alternate alcoholic drinks with soft ones, replace biscuits with healthier snacks and fruit. Changing your lifestyle takes time and patience. Don’t expect your partner to come round to your way of thinking immediately. Talk to them, offer advice and support and gently encourage them by making healthier choices in your own lifestyle. Your partner is, after all, an adult who is capable of making their own choices – with the exception of those suffering from mental health issues who may well not be able to do so at present. If you are really worried and want some professional advice, bear in mind that whilst you need a person’s consent for their doctor to discuss their health with you, you can raise concerns with the GP. Due to patient confidentiality, the GP won’t be able to discuss any details but they should be able to advise you how to handle the problem. The only exception to this is if the GP feels someone needs treatment under the Mental Health Act (1983). If you agree, though, the GP may be willing to tell your partner that you’re concerned about them and may suggest including you in some of the discussions. You could also investigate private healthcare options to obtain a quicker medical consultation. If you are worried about your partner’s health there are things you can do to help – just make sure you do it with tact and diplomacy. "Problem Page Edition 1 – 2018"
My partner and I are both guilty of a lot of those bad habits! But we are planning on being healthier this year, so hopefully will be better at it soon. You raise some good points about importance of communication. I think I’m lucky that my partner and I can talk openly about things like this so it’s easy for us to listen to each other. We definitely tend to worry more about each other than ourselves and tell each other off when we feel the other isn’t looking after themselves as much as they should . This is fantastic advice. I often worry about my partner’s health – I want the best for him.